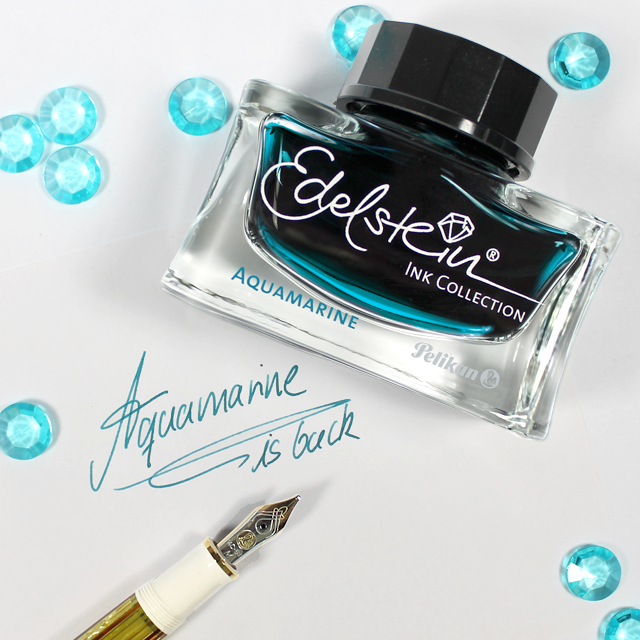 Earlier today, Pelikan announced via their Facebook Page that the Edelstein Ink of the Year for 2016, Aquamarine, is to be added to the standard ink line-up. The photo’s caption reads, “Aquamarine is back.” The announcement corresponds with the International Day of Happiness, a UN sanctioned celebration designed to promote happiness in the world around us. This breaks with the prior tradition of making the Edelstein IOTY editions available only as limited runs that were forevermore unavailable once stock ran out. I’m not certain why Aquamarine was chosen over any of the other limited editions that have come before it. I know that there are many out there, myself included, that would love to see inks like 2013’s Amber make a come back. Does the permanent resurrection of Aquamarine make you happy? Click the link below to participate in a poll about which limited edition colors you would like to see make a come back and don’t forget that next spring promises to bring us an as yet unnamed shade of olive-green. 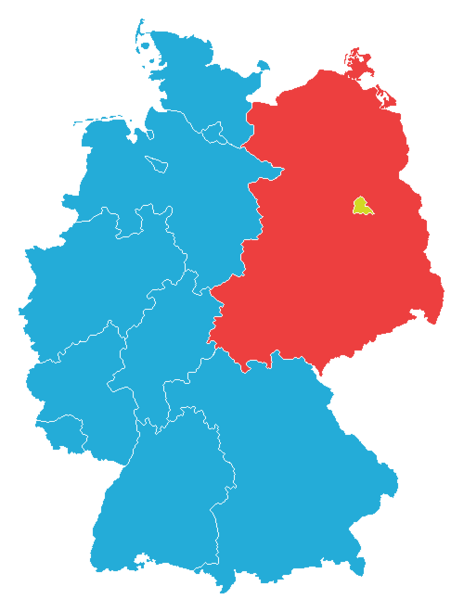 Map depicting West (blue) and East (red) Germany, 1949-1990.